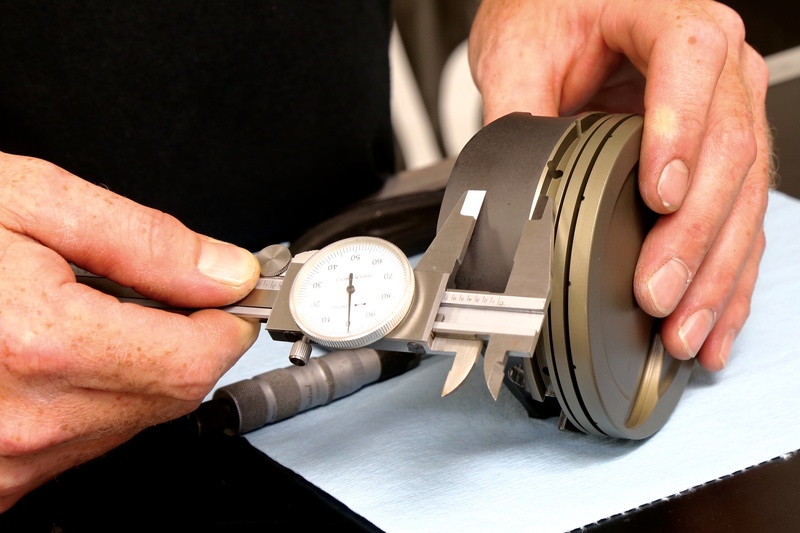 Checking piston-to-wall clearance is a critical measurement every engine build should include. 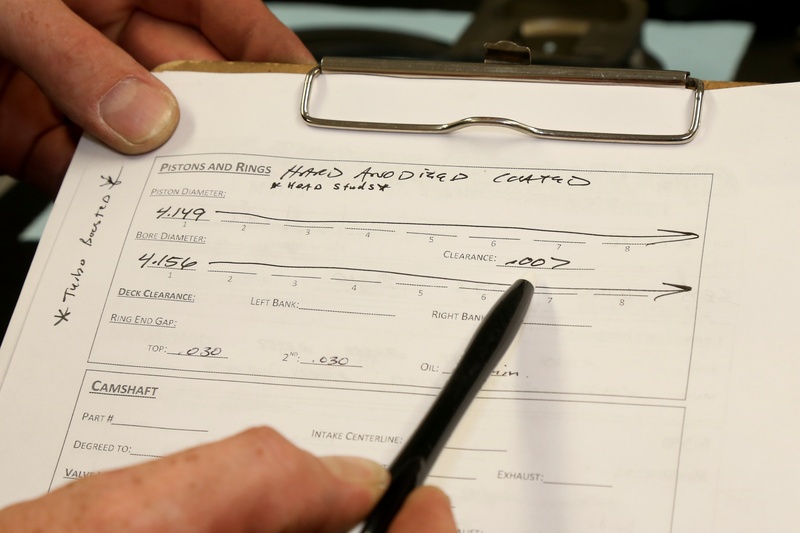 Here is a detailed walk through of how to measure your piston-to-wall-clearance. A feeler gauge is no longer an option when determining piston-to-wall clearance on a high-performance or racing engine. Even though photos depicting engine builders checking this dimension using the thin blades are found in instructional books and on the Internet, the accuracy of the numbers is not reliable—and today’s leading engine builders are demanding exact tolerances to ensure reliability and performance. 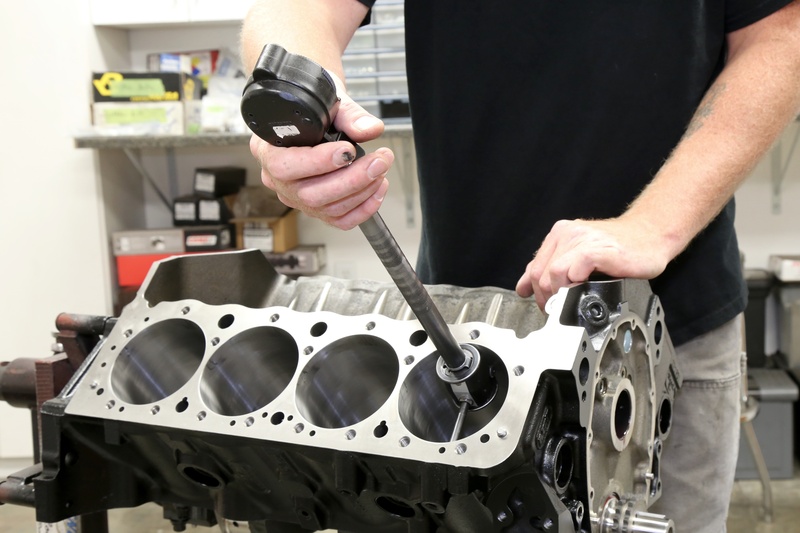 Therefore, precise measurements of the piston and cylinder bore diameters are crucial toward calculating piston-to-wall clearance—which is critical for two reasons. If there’s too much clearance, the piston could rock back and forth inside the cylinder and damage the rings, cylinder walls, or skirts. If the clearance is too tight, then the piston can seize in the cylinder as it expands due to combustion heat. 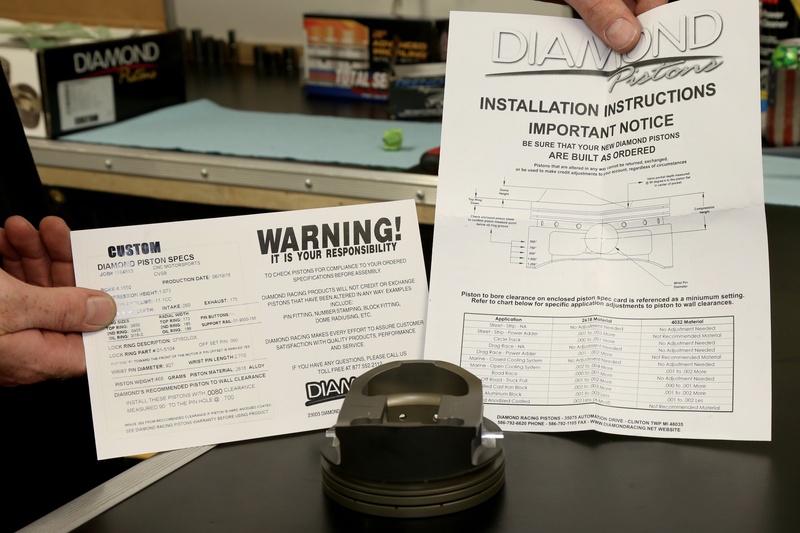 Diamond carefully specs the piston-to-wall clearance with each and every piston they sell, but checking it in relation to the bore is a mandatory part of the assembly process. You see, things like bore wear, and honing tolerance all need to be verified to ensure an engine build is successful. 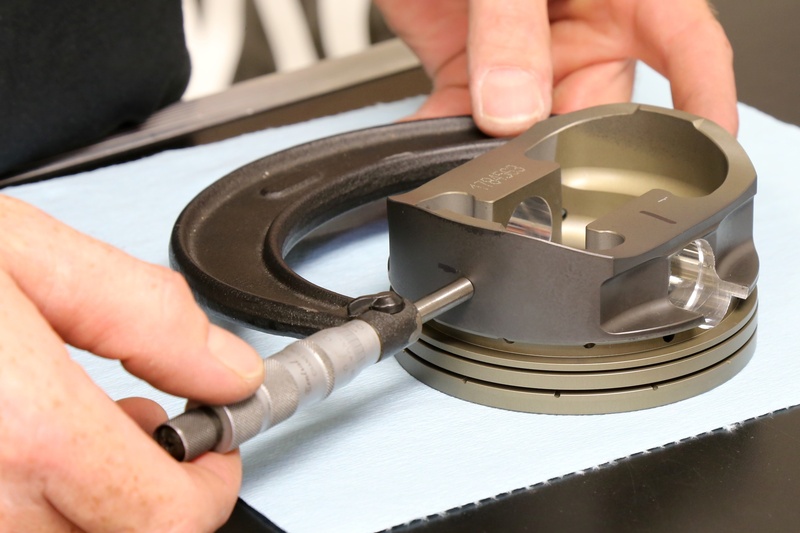 Diamond sets the gauge point for its pistons by measuring down from the bottom of the oil-ring groove and in the below photo sequence, we'll show you everything you need to know to check the piston-to-wall clearance on your next build. It all begins with reading the spec sheet and instructions provided by the piston manufacturer. The spec sheet will provide the suggested clearance, while the instructions are very specific as to where the piston diameter must measured. The lower chart also gives adjustments to the suggested clearance based on different applications and piston alloy. Pistons are designed with a taper; that is, the top or crown diameter is slightly less than the skirts. This is to help compensate for the higher heat absorbed by the piston crown during combustion. 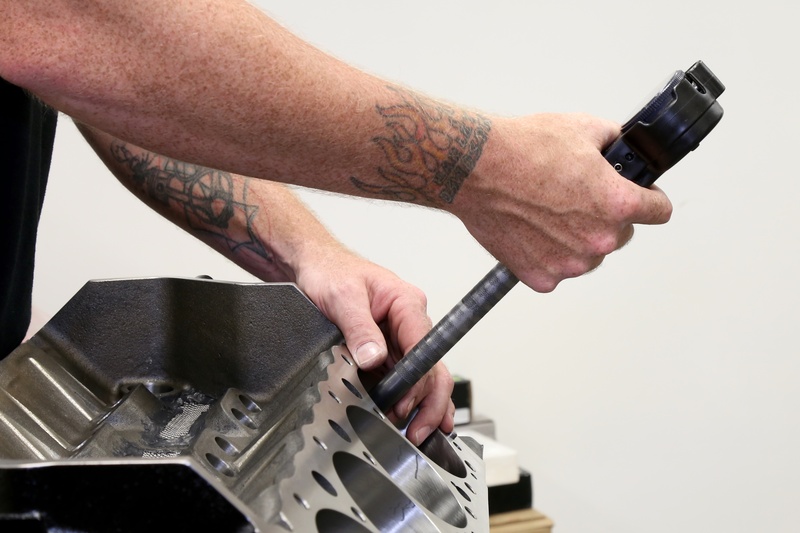 The cylinder bore should be perfectly round and checked with a dial bore gauge in two or three places. The cylinder bore should also be straight and not have an internal taper. Double check the bore measurements in the middle and near the bottom of the cylinder. 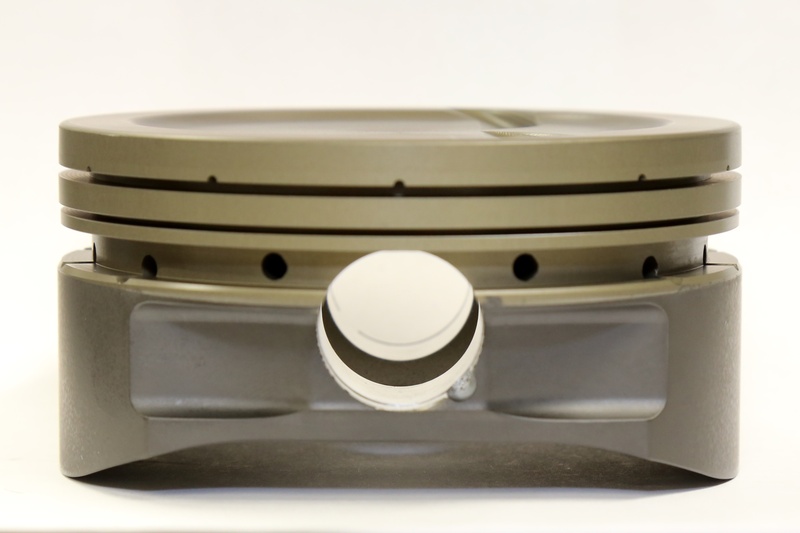 For this Diamond piston, the measuring point is .700 inch below the oil-ring groove and 90 degrees to the pin bore. 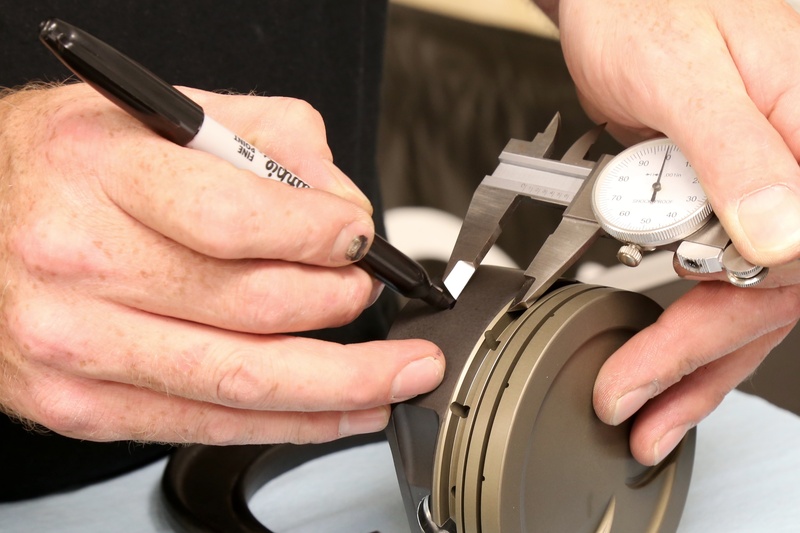 If you don’t have specific instructions from the manufacturer, a safe measuring point is in the middle of the skirts at 90 degrees to the pin bore centerline. Himley uses a marker to pinpoint the measuring spot on both sides of the piston. The properly sized outside micrometer is used to take measurements of all the pistons at the recommended locations. Because aluminum is soft, it can take a little experience to get an accurate measuring technique down. Ask an experienced machinist for help in the beginning. The recommended clearance for this 2618 alloy piston was .008 inch, but the application chart said to add .001 inch to .003 inch for power adder (this small-block engine will be heavily turbocharged). It also says to subtract .002 inch for hard anodized coating, which this piston has. So Himley settled on .007 clearance. If there are slight differences between the bores and piston diameters, always match the larger pistons with the larger bores for a more consistent piston-to-wall clearance. Championship Engine Builder Chris Uratchko Talks Naturally Aspirated Horsepower! 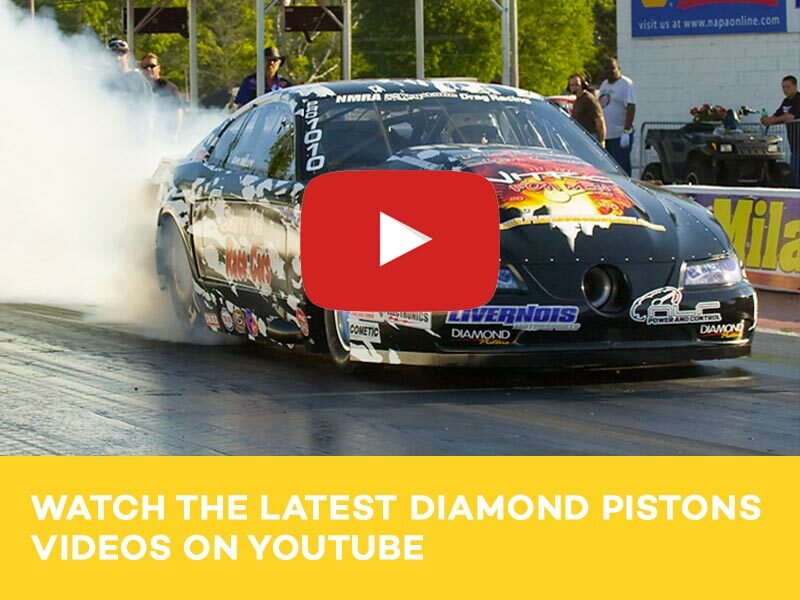 Introducing Diamond's 2,000HP-Ready Mod2k Pistons for Ford Coyote and Modular Engines!